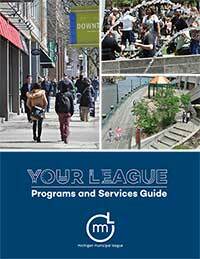 Through advocacy at the state and federal level, we proactively represent municipalities in order to help them sustain highly livable, desirable, and unique places within the state. We create and offer services and events to our members to help educate and inspire them to remain focused on their passion for the areas they represent. Since the League’s founding in 1899, our mission has been that of a nonprofit, but we act with the fervor of entrepreneurs to passionately push change for better communities and a better Michigan.